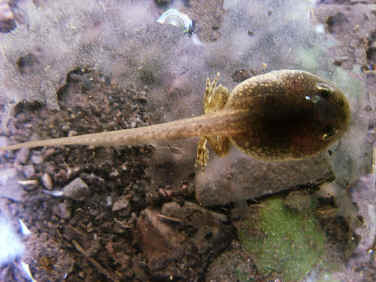 19th June - The tadpoles are now moving their newly aquired hind legs and feet when swimming. Their front legs will appear any day now. The body continues to look more frog-like in shape.